Chance for Rain is an emotional, realistic romance novel that brings a new and empowered perspective to the genre. 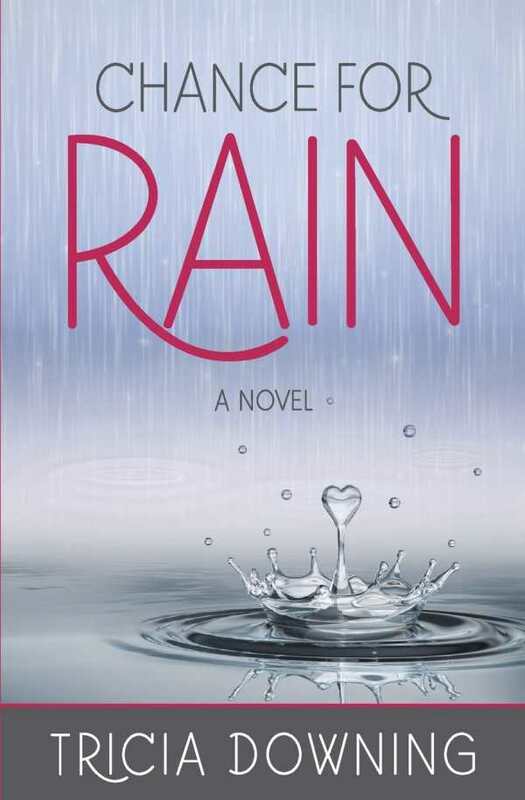 Tricia Downing’s heartwarming, authentic romance Chance for Rain is related through the uncommon lens of a woman in a wheelchair. Rainey May was another bright-eyed, boy-obsessed teenage girl until a car accident killed her mother and sister, and left her paralyzed from the waist down. While her father withdrew and became depressed, Rainey fell in love with adaptive skiing, quickly becoming a star athlete. Her confidence on the slopes did not translate to her love life, however, and Rainey starts to wonder if she’s missing an essential piece of her life. Both Rainey and her father decide to attempt online dating, beginning to move past their family tragedy, connect to people, and open up their hearts once more. Rainey is a refreshing and unique main character. The trauma of the car accident is dealt with candidly, as is the process of learning how to live as a person in a wheelchair. While Rainey’s heartbreak and feelings of injustice are effectively shown, care is given to highlight her successes and strengths as well. Her inner monologue is realistic as it explores encountering pity and other demeaning behaviors experienced by people with disabilities. While there are some technical terms used when discussing the wheelchair, they are all explained well, and the writing remains direct and approachable. The novel keeps supporting characters to a minimum, and they all have a personal relationship with Rainey and contribute to the story’s themes. Physical descriptions are easy to visualize, and personal histories are revealed when necessary. While the dialogue sounds natural, there is an absence of personalization to the characters’ voices; without accents, slang, or other idiosyncrasies, most conversations are uniform and similar. As Rainey struggles with her insecurities while dating, the dialogue becomes predictable and repetitive. Conversations about relationships frequently slip into gender stereotypes, especially as Rainey’s potential love interest, Brian, laments the loss of his “man card” when discussing emotional topics. Rainey’s backstory is perfectly paced, combining information and emotions to connect to Rainey and the people in her life. As Rainey begins to talk to Brian online, the novel builds interest and romantic tension, but it fades just as quickly. The plot stalls around the middle of the book as Rainey involves herself in skiing; there are not many descriptions of her ski practices or exhibitions. Some of the chapter transitions are abrupt as a result, hurriedly moving in and out of travel scenarios. There are a few surprises and twists that bring the novel back to life, and by the end of the book, Rainey’s story, and subplots involving the other characters, are wrapped up neatly. Much of the novel takes place where Rainey lives, in Colorado. While that area is adequately explained, many of the skiing locations she travels to are not described. It is hard to picture and emotionally relate to many places in the book, with the notable exception of Rainey’s father’s house, which is filled with mementos from their past life—a representation of his stagnation and inability to move on. This is an emotional, realistic romance novel that brings a new and empowered perspective to the genre.